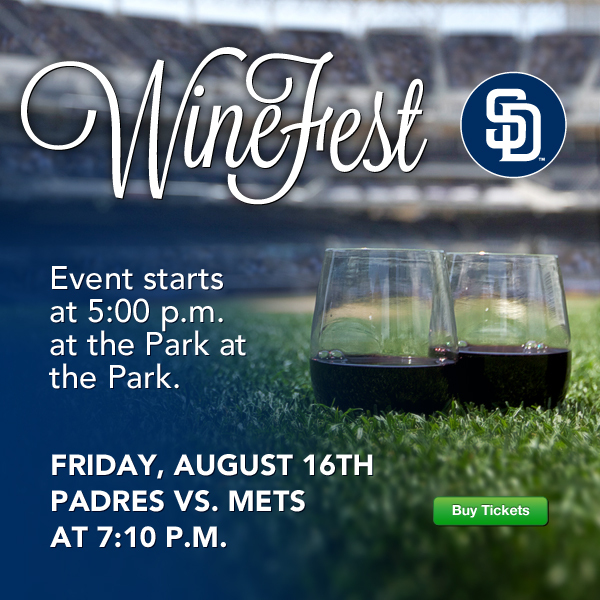 Come out to the ballpark this Friday to take part in the San Diego Padres’ Winefest. This event is a pregame tasting event featuring food and wine from more than three dozen wineries. To take part in Winefest, you can purchase drink tickets and speciality food items at Park at the Park. First pour is at 5:00 pm.